Theatre credits include: Roxanne in Cyrano de Bergerac, May in The Accrington Pals (The Dukes), Masha in The Seagull (National Tour for Compass Theatre Company), Dorothy in The Wizard of Oz (The Lowry), The Prioress in The Canterbury Tales, Christina Stapleton in The Hound of the Baskervilles, Ashputtel in Grimm Tales, Snow Queen in The Snow Queen, Klondike Annie in Around the World in 80 Days, Beauty in Beauty & the Beast (The Dukes & Open Air Promenade), Dee in The Business of Murder (Theatre Royal Bury St Edmunds), Puck (cover) A Midsummer Night’s Dream (Opera North), Dorothy in The Wizard of Oz (Bolton Octogon), Julie (lead) in Feels like the First Time, Aladdin in Aladdin, Prince Lorenzo & Careless Carrie in Sleeping Beauty, Colin Goose in Mother Goose (Oldham Colisuem), Cinderella in Cinderella (Exeter Northcott Theatre), Meisie/Esmerelda in Missing/Crossing (Pentabus Theatre Co.), Oklahoma! and Me & My Girl (Aberystwyth Arts Centre), Prince Charming in Cinderella (Chipping Norton Theatre), Natalya in The Proposal – Chekhov Shorts (Compass Theatre Company), Chastity Partington in Dollybirds at The National Theatre’s Inside Out Festival. Film credits include: Dementamania and The Encoder. 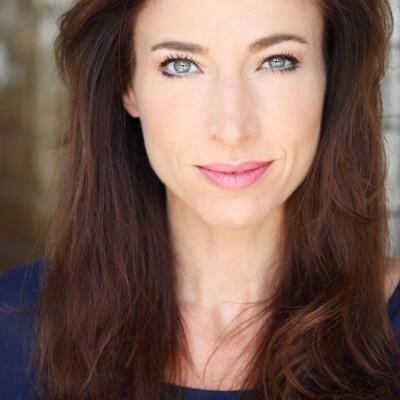 Other credits include: Amy’s work as a vocalist has ranged from appearing as a soloist with The National Symphony Orchestra, in Musical Theatre for BBC Radio 4 and narrator for Peter and the Wolf with The Hallé Orchestra.